Several commercially sold “nutraceutical” compounds—including S-adenosylmethionine (SAMe), methylfolate, omega-3, and vitamin D—may be effective adjuncts to antidepressants for reducing depressive symptoms, according to a meta-analysis published today in AJP in Advance. Australian and American investigators searched the literature up to December 2015 for clinical trials that examined any adjunctive nutrient-based intervention for depression and identified 40 studies (31 were randomized, double-blind, and placebo-controlled trials) for analysis. Common trial lengths were 4, 6, and 8 weeks, with a mean sample size of 63 participants and a mean age of 44 years for analysis; a variety of antidepressant pharmacotherapies were used in the studies, which primarily used open inclusion of all SSRIs or commonly specified prescription of fluoxetine, citalopram, or escitalopram. Statistical analysis revealed a positive effect of the adjunctive intervention in 68% of the clinical trials. The authors reported positive results for replicated studies testing S-adenosylmethionine (SAMe), methylfolate, omega-3 (primarily EPA or ethyl-EPA), and vitamin D, with positive isolated studies for creatine, folinic acid, and an amino acid combination. Mixed results were found for zinc, folic acid, vitamin C, and tryptophan, with nonsignificant results for inositol. “All of the nutraceuticals reviewed in this article have mechanistic antidepressant activity underpinning their use,” the authors wrote. 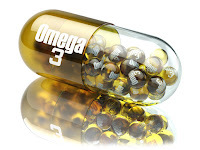 For instance, omega-3 appears to exert “antidepressant activity potentially through modulation of norepinephrine, dopamine, and serotonin reuptake, degradation, synthesis, and receptor binding; through enhancement of glutathione antioxidant capacity; and through enhancement of cell membrane fluidity.” The anti-inflammatory properties of the compounds examined may also contribute to their antidepressant efficacy, the researchers added.